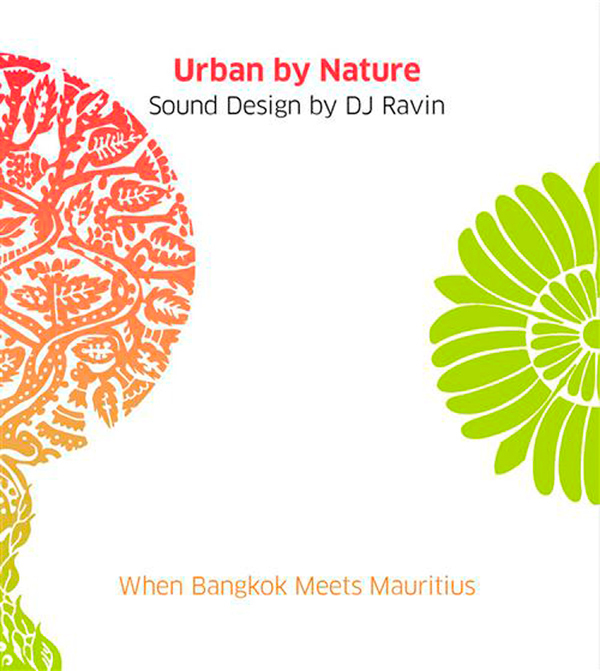 'Urban by Nature'/When Bangkok Meets Mauritius - Sound Design by DJ Ravin. In 'Urban by Nature', worldwide acclaimed DJ Ravin invites us to a musical journey that mixes both urban & natural environments. For this ocassion, the selected destinations are Bangkok and Mauritius. A peaceful reunion of opposite worlds and cultures that bond together and confirm that when it comes to sound design there are no boundaries for Mr. Ravin. This 2 CD set includes music from Chris Coco, Phonique, Parov Stelar, Louie Austen ( previous interview HERE), The Disclosure Project and a cover of The Carpenters 'Rainy Days & Mondays' performed by Fac 15 Feat. Cathi O.